In this day and age, it’s extremely important for companies to keep up with trends on social media. One of the most common things that companies do is to utilize popular hashtags on Twitter to participate in conversations, stand out among the crowd, and draw attention to their company’s tweets. This can be a great strategy until they screw up by hopping on a trending hashtag bandwagon without first looking into the meaning of the hashtag itself. Take for instance the example of a tweet posted by DiGiorno Pizza using the trending hashtag #WhyIStayed. For those of you who don’t know, #WhyIStayed is a hashtag based on the conversation topic of why individuals stayed in an abusive relationship. Considering the recent fervor over the Ray Rice scandal, the timing could not have been worse. The public was outraged over this mistake, so much so that DiGiorno has been releasing a steady stream of apologies out to the public in an effort to make up for their blunder. This leads us to a serious issue that many companies are falling victim to. They leap well before they consider looking at the social media ground underneath. They’re so focused on trying to be the first to jump into whatever new topic is trending so their content remains meaningful and appropriate. DiGiorno Pizza could’ve taken five minutes and read just a few tweets following the “WhyIStayed” hashtag and picked up on the fact that the topic was domestic violence, not reasons to stick around at a party. But instead, they saw the trending hash tag, posted their own tweet based on their assumptions, and now they’re paying for it. 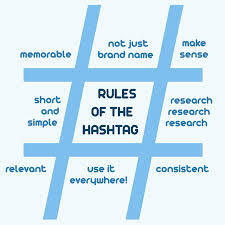 Taking time to research trending topics before participating is an important practice that all companies must adopt. Countless hashtags exist and trending topics change every minute, leaving too many opportunities to smear a company’s reputation if they were to be used incorrectly. Remember, no matter how unique you think a hashtag is, chances are it already exists. Make sure that if it does, that it sends the right message to your audience. The power that social media holds is astounding. Not only can it be used to draw in new customers and make them happy, but it can also hurt the companies themselves. In most cases, sales could be hurt over such a blunder, making it necessary to launch an apology campaign that burns through time and money. This is what is happening in the case of DiGiorno, with their frequent apology tweets. One bad tweet can potentially ruin your company’s image, so much so that it might never recover. In summary, avoiding social media disasters can be simple. Spend the few minutes to simply look into the hashtag before using it, and, like the smart cow that saw the fins in the river, you can avoid disaster all together. Stay on the lookout for our upcoming series of blogs focused on the do's and don'ts of effective social media best practices.